Even though everyone is waiting for vSphere 5.5 GA code, the first papers starting to show up. If you’re regular reader of my blog, you remember my article which introduced new feature in vSphere 5.5 which talks about Latency Sensitive Applications on vSphere 5.5. 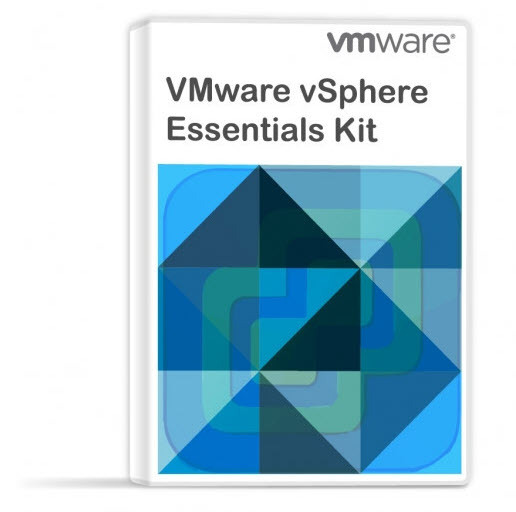 Check out my other vSphere 5.5 features from dedicated VMware vSphere 5.5 page! Basically applications which aren’t supporting latency are used in banking, there are real-time apps, but also Java applications. There is certainly many use cases where latency is business critical. 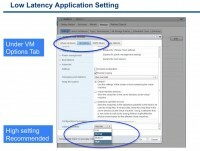 VMware released new PDF called Deploying Extremely Latency-Sensitive Applications in vSphere 5.5 and which dives deep into it. You’ll find out how it works and what are the benefits and caveats. 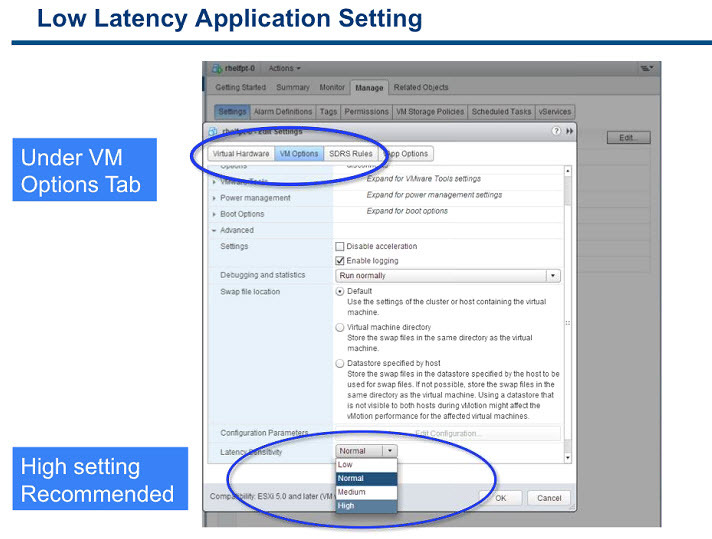 There is a Latency-Sensitive function built-in vSphere 5.5 which can be activated at per-VM level. The setting should be set to High. When done, the vCPU of the VM will be able use the pCPU directly, without going through the virtualization layer. The other VMs which runs on the host and which not use this feature, have to wait for their turn if CPU contention occurs, and so they use the CPU scheduler. Low latency application were still running on physical until now, not virtualized. With the latest enhancements made in vSphere 5.5 and having the possibility to give exclusive access to physical resources and bypassing the virtualization layer. This can be further improved with pass-through and SR-IOV (single root IO virtualization). On the left a quick screenshot comparing native performance with VM configured with the latency-sensitive feature. It presents details of the latency-sensitivity feature that improves performance in terms of both response time and jitter by eliminating the major sources of extra latency added by using virtualization. Overprovision (or consider) PCPUs for reducing impact of sharing the LLC, because if the access to pCPU is exclusive the LLC is shared. The PDF document calle Deploying Extremely Latency-Sensitive Applications in vSphere 5.5 can be downloaded from this page.